Tracy Duberman is the Founder and President of The Leadership Development Group, a global talent development firm supporting leaders, teams, and organizations across the health ecosystem – including provider, payer, and pharmaceutical companies. TLD Group applies evidence-based insights in the design of solutions to align talent to execute strategy. Talent development solutions – including executive, physician, and clinical leadership assessment and coaching, organizational development consulting, and group leadership academies – are custom designed to build leaders’ capacity to execute strategy inside their organizations, within their sector, and across sectors. In her new book, From Competition to Collaboration: How Leaders Cultivate Partnerships to Deliver Value and Transform Health, Duberman and co-author Bob Sachs examine the challenges and opportunities of cross sector collaboration to enhance population health. Duberman has been recognized as an expert on leadership across the health ecosystem. She speaks on a variety of leadership topics including ecosystem leadership and physician leadership, as well as talent development solutions including best practices in succession planning and enhancing team performance. Prior to founding TLD Group, Tracy was previously SVP, Healthcare Practice at the Hay Group now Korn Ferry and held various executive level positions at Bristol-Myers Squibb, Memorial Sloan-Kettering Cancer Center, and Oxford Health Plans. Tracy earned her PhD from New York University, a MPH from the University of Medicine and Dentistry of New Jersey, and a BA in Public Health from the University of Rochester. As a medical industry executive and leader within the healthcare sector, Mr. Wilkins has repeatedly driven transformation and business growth. He has turned around revenue and operations, spurring technology integration and focusing teams on value and quality service to patients, physicians, employers and consumers. Mr. Wilkins currently serves as Principle Advisor for TRG Healthcare. Prior to joining TRG Joe served as Senior Vice President and Chief Transformation Officer for Atlantic Health System, completing a $200M EPIC project, while standing up a Business Intelligence infrastructure and the Aha! Innovation Center. 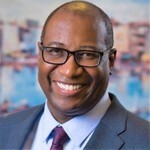 Prior to Atlantic Health System, he led the commercial operations teams at Quest Diagnostics, $9B For Profit provider of clinical testing, he informed new business models, strengthen relationships and employed technology and innovation to empower better health with insightful and actionable clinical diagnostics data. His teams delivered more than $100M in revenue growth, setting the future vision for enterprise synergies, redefining business development processes and M&A resulting in key strategic partnerships. Mr. Wilkins is Board Certified in Healthcare Management as an American College of Healthcare Executives Fellow. He earned an MBA in Finance from Argosy University. He is certified in Population Health Management by the California Hospital Association. He holds a Lean/Six Sigma Green Belt from California State Fullerton and corporate governance certifications from the University of Southern California, Forum of Corporate Board Directors, and University of California, Irvine. Leaders from all sectors of the healthcare industry are being tasked with developing strategies to improve health outcomes while reducing costs. These strategies require leaders from diverse sectors to expand beyond their organization’s four walls and consider strategic partnerships with others to generate and advance innovative solutions. Our session focuses on the leadership requirements for converging across the health ecosystem and considers best practices in cross-sector collaboration from the field. Duberman, PhD, MPH, FACHE, Tracy and Wilkins, MBA, FACHE, Joe, "From Competition to Collaboration: What it Takes to Lead Across the Converging Healthcare Ecosystem - Lessons from the Field" (2019). College of Population Health Forum. Presentation 128.